If trying to figure out whom to vote for in the upcoming Presidential election’s got you stressed out, kick back for a few minutes and practice your decision making with something a tad less important. Atlanta Magazine’s annual ‘Best of Atlanta’ campaign is underway and a number of local businesses – as well as Virginia-Highland itself – would appreciate your support. VaHi’s in the running for best in-town neighborhood and some of your favorite local shops and restaurants are included in their respective categories. You’ll have to write in your vote for Summerfest as the city’s favorite neighborhood festival, though, as our annual fundraiser was for some strange reason left off the list of candidates (what’s up with that?). Voting began September 28 and wraps up October 15. 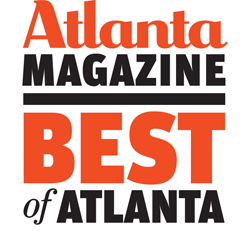 Winners will be announced in the magazine’s December ‘Best of Atlanta’ issue. Click here to take the survey. Let’s rock the vote, VaHi!! This entry was posted in news and tagged 2012, businesses, summerfest by John Becker. Bookmark the permalink.